And you thought your day was bad? 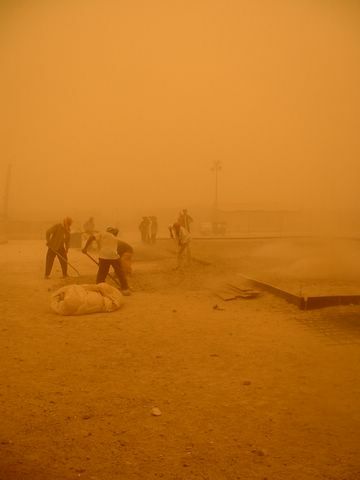 This photo was taken today during a raging sandstorm at the Pax (passenger) terminal at BIAP (Baghdad International Airport). Anyone wanna guess if I made it to Kirkuk or not? (Here's a hint, I didn't) Looking at this picture, I can't stop thinking of that Loverboy song.